Up, up, and… a-WAIT AGAIN! 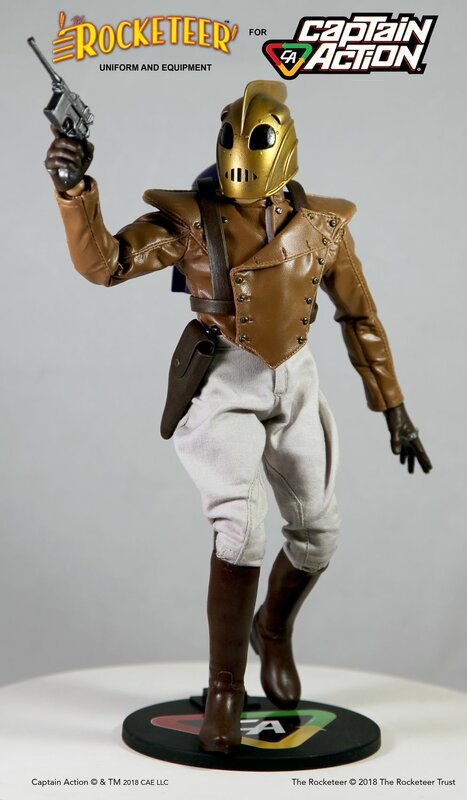 Prototype for yet another (oft-delayed) “Rocketeer” costume set from Captain Action Enterprises. Will these EVER be for sale? (Photo: CAE) Click to enlarge. “Hey Actioneers, we’re delighted to report that the reception to the new uniform sets announced at San Diego Comic-Con was overwhelmingly positive. We at CA Enterprises continue to maintain our commitment to keep the Captain Action legacy alive and growing. While the faithful have always been with us, we are now also seeking to attract new fans with our new offering of uniform sets which include The Rocketeer, Mars Attacks! and more. 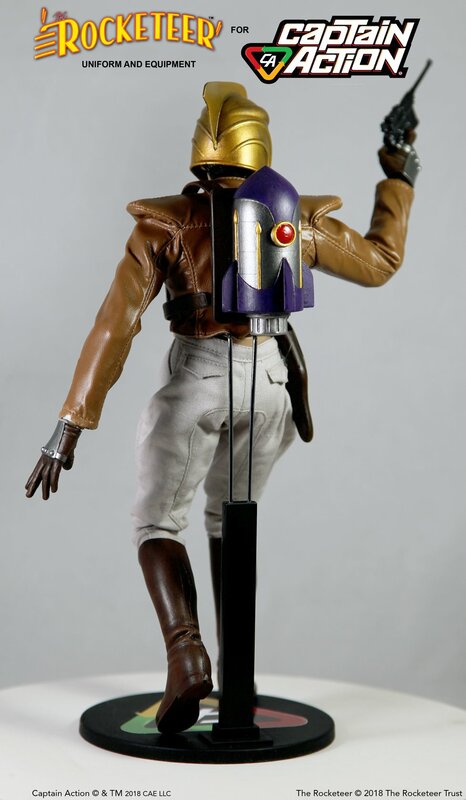 Rocketeer’s Rear View— Wait! Don’t walk away! Stay awhile! PLEASE? This CAE prototype costume shows excellent details and amazing quality overall. We want it! (Photo: CAE) Click to enlarge. Bottom Line: Good things come to those who wait. And wait. And then wait some more. It seems CAE is still working on bringing this costume set to market, but will it EVER arrive in our lifetime? 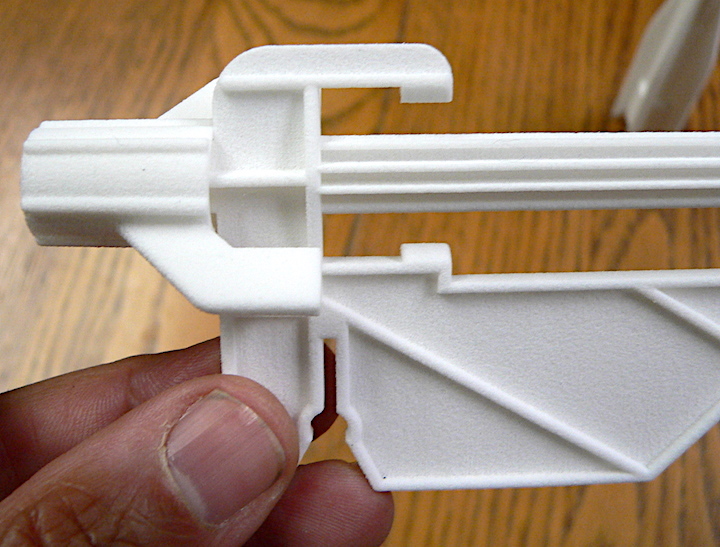 And will it look HALF as good as these prototype photos? Only time will tell. Fingers (still) crossed! Bottom Line: These pics all appeared on the CAE fan page on Facebook today. Whether or not any of these fanciful concept products actually make it to reality remains to be seen. Keep your fingers crossed and— Let Justice be Done! “I went to the Captain Action panel today at the con. Along with the spacesuit set and the Mars Attacks Dr. 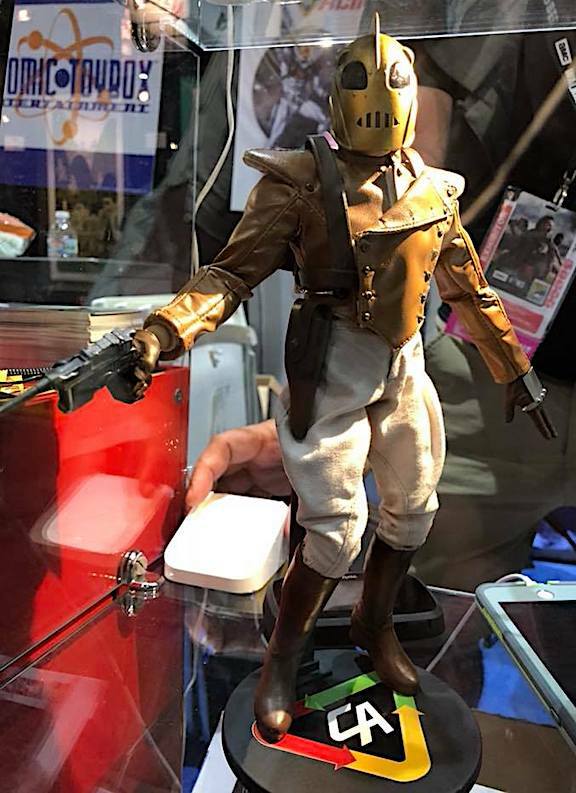 Evil costume, they also announced the Rocketeer, based on the comic version of the character, not the movie. Future costume sets in the pipeline include Madman, the Black Terror, and the Golden Age Daredevil. The hope is for the first release to be ready in time for Christmas. There is a new headsculpt, but it’s essentially a ‘1st shot’ prototype version, not a final product version, so it is almost certainly going to change before any sort of future release. Also, distribution of the new sets will be online-based. 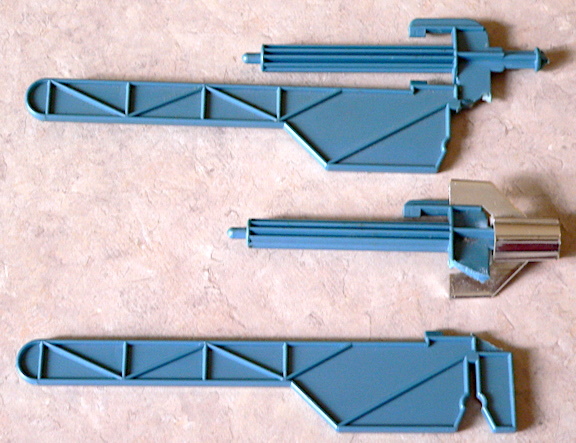 Some retailers have expressed interest in carrying the sets, and they’ll certainly work with them to get them stock, but they’re not focusing their attention on brick-and-mortar store distribution. AKK! My, how he’s GROWN— The “Mars Attacks” martian prototype. (Photo: CAE) Click to enlarge. Mining the “Public Domain”— Let’s face it, licensing fees are what killed the Batman and Superman CA costume sets. Such “top-dollar” properties are protected like the gold in Fort Knox. Fees to reproduce their logos and likeness cost a VERY pretty penny. 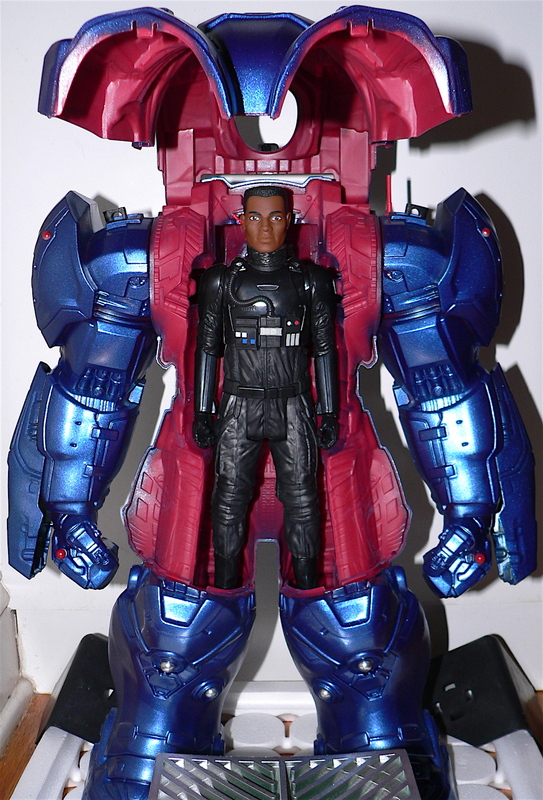 As a result, budget-conscious toy companies (such as CAE) hoping to “mine” pop-culture for new and affordable product ideas have to go WAY back in time to find characters that nobody knows, remembers, or cares about. Ideally, such “forgotten” characters are also now in the “public domain,” copyrights-wise (i.e. FREE). Ever hear of “Madman?” Didn’t think so. How about “The Black Terror?” Nope. We all know who Daredevil is, but that boomerang-wielding guy (above) ain’t Marvel’s Matt Murdock. And as for the identity of CAE’s “Mystery Hero,” well, if that’s not the silhouette of Will Eisner’s “Spirit,” then we’ll eat a comic book price guide! (Photo: CAE) Click to enlarge. “The figure at the show is just a stand-in. 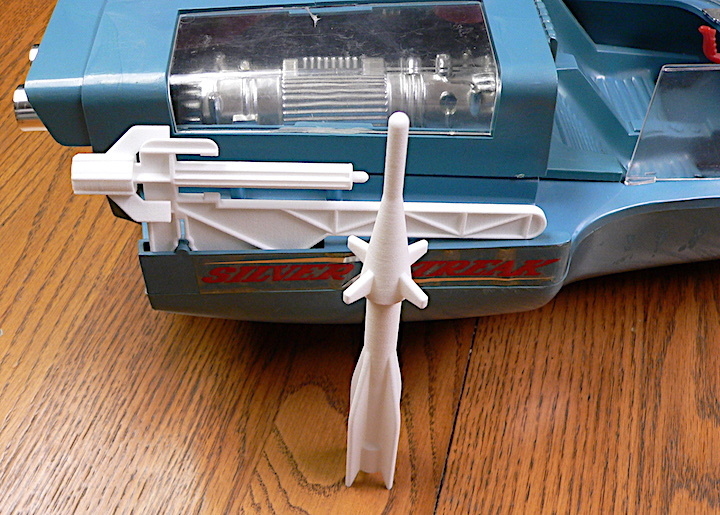 The prototype came to us very late, so there was no time to rework it on a Captain Action figure. The head though, is a new headsculpt we are toying with, but haven’t made any decisions about. Bottom Line: We’ll believe it when we can buy it. Until then, this is all speculative talk—albeit just the kind of talk we typically only dare DREAM about. Please let us know when we can REALLY get excited, fellas. Until then, we’ll just keep holding our breath along with the rest of the Captain Action collecting universe. Let Justice be Done! Holy, Spaceman!— Now THIS is what ‘ol Cap should’ve looked like from the beginning—a high-flying, adventurer-type HERO. This is, without a doubt, the most exciting CA product “reveal” we’ve seen in a lonnnnng time. As Bill & Ted would say—“EXCELLENT!” (Photo: CAE) Click to enlarge (and drool). Take a look at the 3 exciting images posted by Captain Action Enterprises (CAE) over on their Facebook fan page. 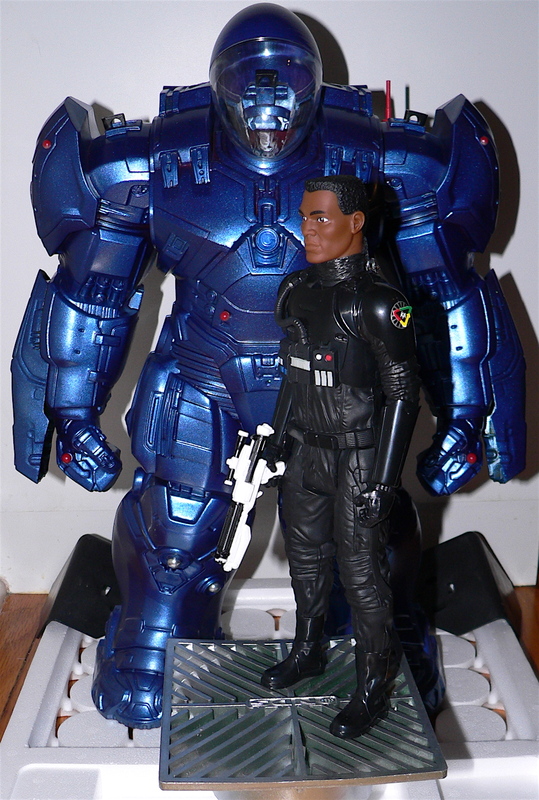 The first one (shown above) shows a completed prototype for their proposed “Attack on Mars” (AOM) spacesuit costume set and—if you look closely—an all-new HEADSCULPT for the figure itself! Fans who’ve grown tired of CAE’s previous “meh” headsculpt, will undoubtedly be thrilled by what they see in this pic. 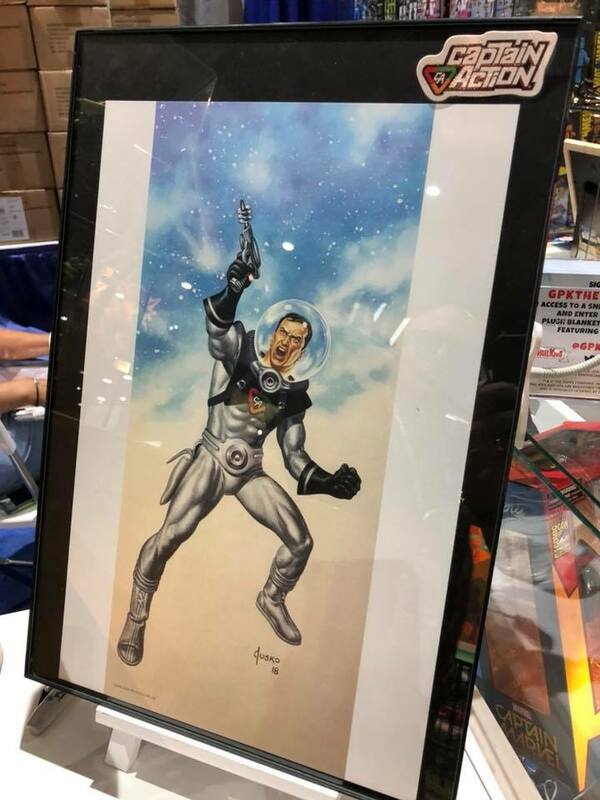 The second photo (below) shows proposed artwork for the costume set’s window-box packaging as created by illustrator, Joe Jusko (GREAT—as always). Ray Gun at the Ready— Joe Jusko’s “Attack on Mars” illustration for the new CA costume set packaging. Out-STANDING! (Photo: CAE) Click to enlarge. The third and final pic (see below) is actually an advertising banner which touts the new AOM set and its contents stating, “pre-order info coming soon!” VERY exciting news all around. Forget all of those previous “little” CAE incarnations—it appears CAE and our favorite “multiple-personality superhero,” Captain Action, are finally getting ready for (another) BIG-TIME 1:6 scale comeback! In your FACE!— Bold, attention-grabbing advertising banner created for the upcoming “Attack on Mars” CA costume set. Oh, YES, please! (Graphic: CAE) Click to enlarge. Bottom Line: We couldn’t be more thrilled by this news. But are we the only ones thinking how great this new spacesuit would look on OTHER 1:6 scale action figures as well? Say, oh, I don’t know, maybe something called, “GIjOE?” All you’d have to do is change the CA chest emblem to an AT one. Can you imagine an entire space-exploring Adventure Team clad in these silver spacesuits? Offer them in different colors, gold, bronze, etc., and we’d have to COLLECT ‘EM ALL! What a concept. It’d be like Major Matt Mason all over again, but this time in 1:6 scale. WOWZA! 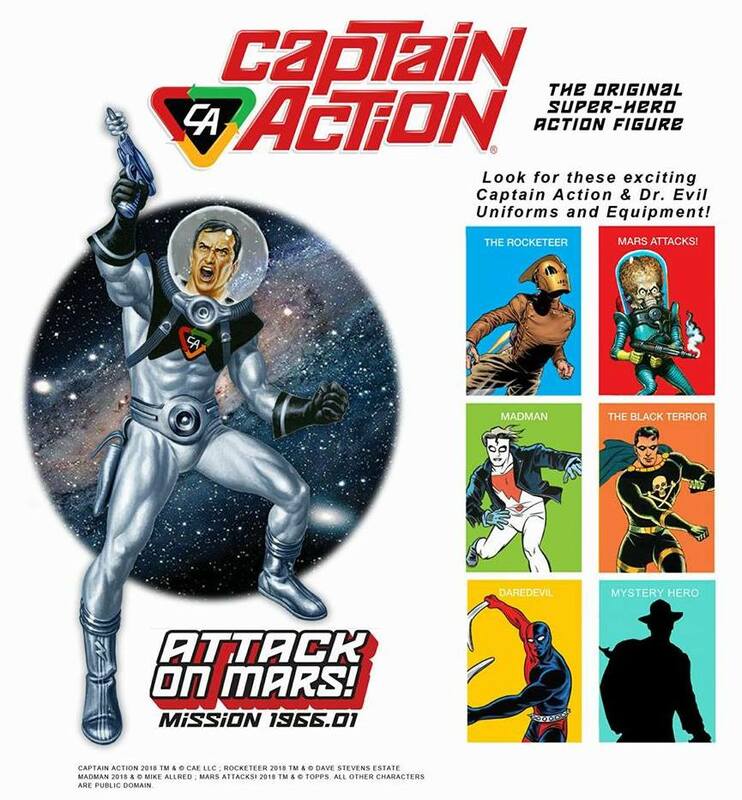 Bottom Line: The popular “13th Dimension” website announced today that Captain Action Enterprises is considering producing an all-new “Attack on Mars” uniform set for the 12-inch Captain Action figure. Here’s a direct link to that exciting article. Enjoy! Creative Minds Think Alike— Inspired by the masterpieces of 1:6 scale wizard, Wayne Faucher, fellow customizer, Gary Stair (of Pennsylvania), combined another assortment of unrelated parts (including a set of Hulk Buster armor, a plastic Easter egg, a Star Wars figure and a Classic Collection GIjOE headsculpt) to create his own unique “B.A.D.A.S.S.” custom toy for use with his favorite hero—Captain Action. Out-STANDING work, Actioneer! (Photo: Gary Stair) Click to enlarge (and drool). “I want to be Wayne Faucher in my next life. I LOVE his 1:6 scale custom stuff! So much so, I often try to emulate him in my own 1:6th creations. The recent Joe Report article describing his amazing Hulk Buster figure (HERE) had me out of my house in minutes and ZIPPING over to the local Walmart; where low and behold—I found one LAST Hulk Buster (HB) figure still sitting on the clearance shelf. Thanks to Wayne’s tip, I snagged it for a mere $11 bucks—with an additional 10% off! Custom Armor-O-ACTION! 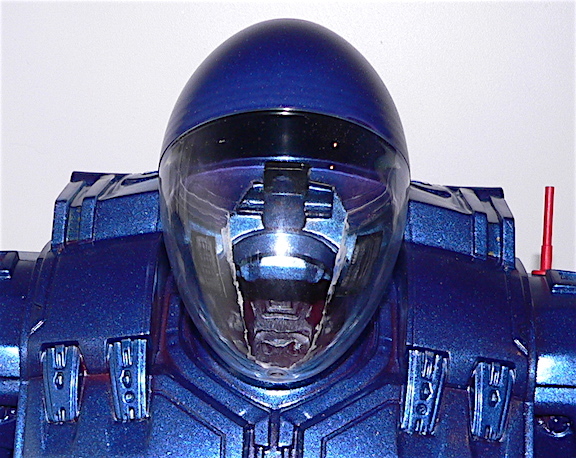 Gary’s decision to go with a metallic blue paint job gave his custom creation a definite Captain Action twist. Sweet! (Photo: Gary Stair) Click to enlarge. 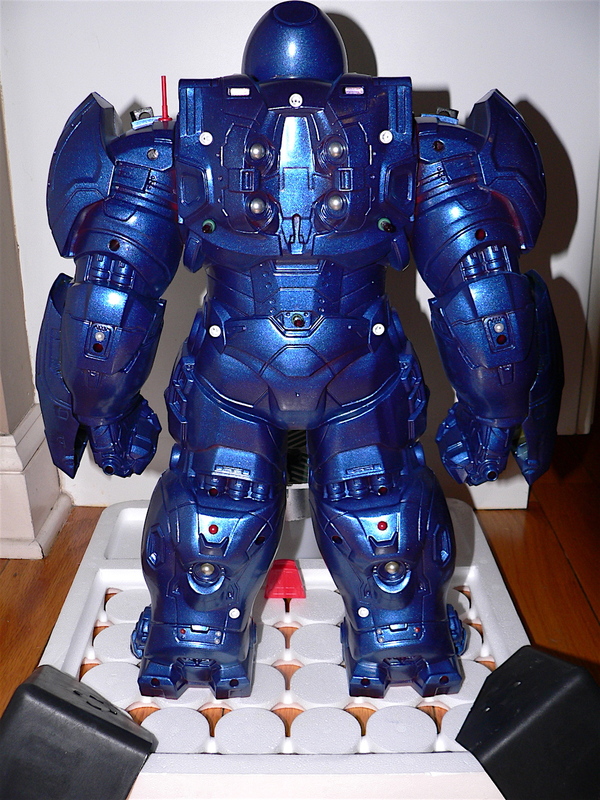 Built For Battle— The back view reveals there are few if any weak spots in the Hulk Buster armor. The possibilities for customizing this “suit” are practically limitless! (Photo: Gary Stair) Click to enlarge. 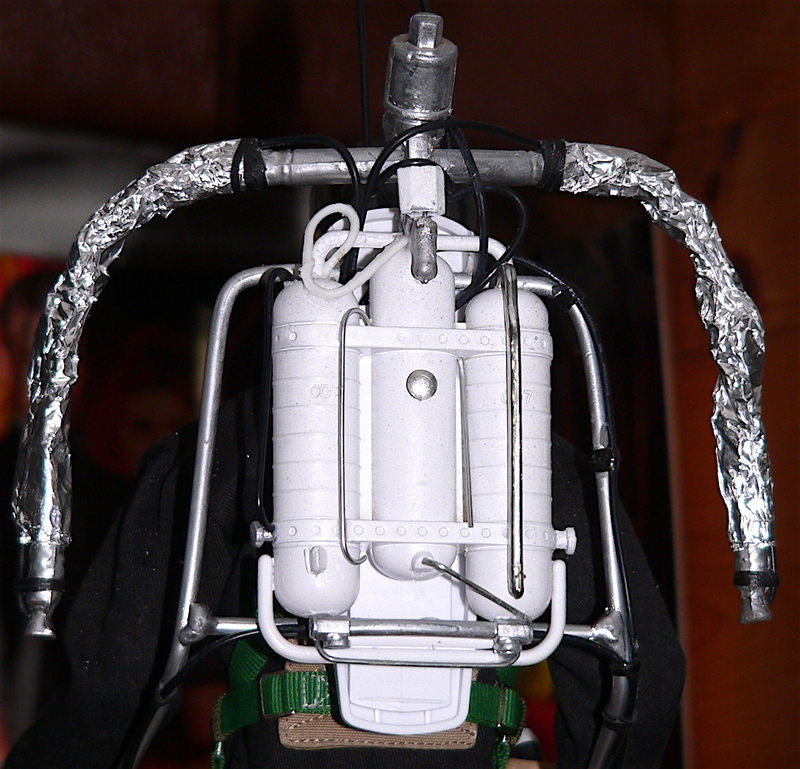 Prepare for Takeoff— Gary Stair’s custom jet-pack was created from an assortment of, as he likes to call them, “odds-n-ends.” WOW!!!!! (Photo: Gary Stair) Click to enlarge. Bottom Line: Gary mentioned that he had grown up watching ARK II. We had never seen (or heard of) “ARK II” before, so we decided to check it out on YouTube today where we found the entire first episode (see link above). If you jump ahead to the 5:49 minute-mark, you’ll see the very same jet-pack system that Wayne and Gary have recreated so perfectly in 1:6 scale. Wayne and Gary are both outstanding customizers and are leaders by example in our wonderful hobby. We hope these two “wizards” will stay in touch often, and that YOU too, will write in to us here at The Joe Report so that we can share YOUR creative projects with the world. Finally, a special note of thanks to Gary Stair for all his generous contributions to this article. Go, GARY! Holy Haiku, Actioneers! 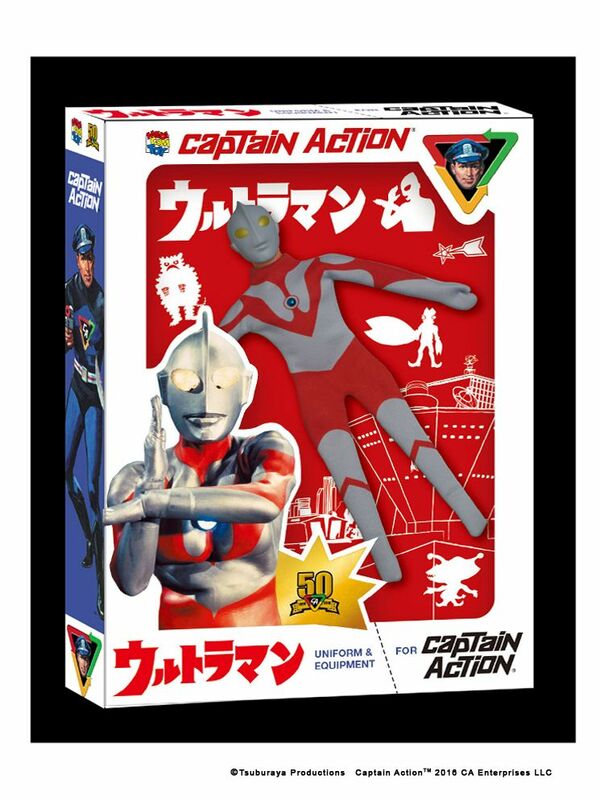 This new Ultraman set from Captain Action Enterprises is a definite MUST-HAVE for any serious CA collection. Whoosh! (Photo: CAE) Click to enlarge. Do you know that anxious feeling you get when you first see a new toy for sale, and you know IMMEDIATELY that you’re going to have to buy TWO of them? Well, here we go again, my friends. 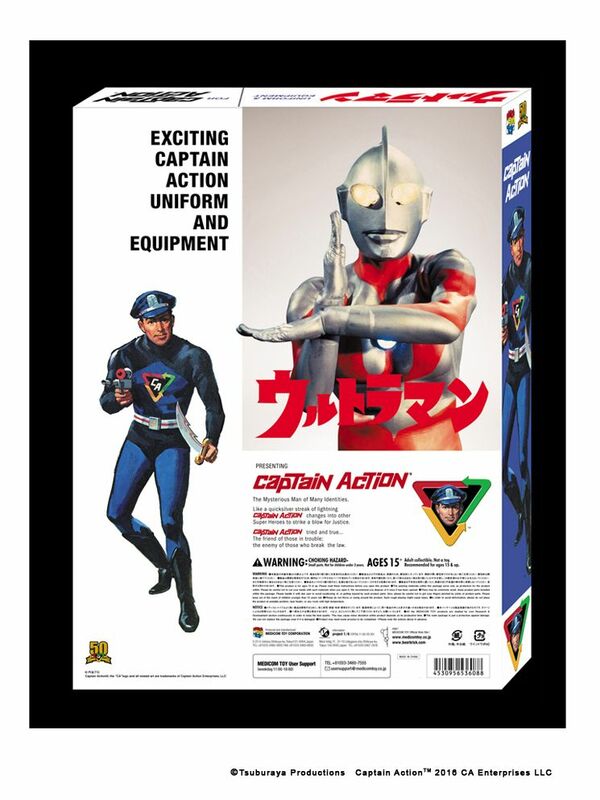 This new Captain Action (CA) Ultraman costume set from Captain Action Enterprises (CAE) looks SO cool in its retro window box packaging, that we know that we (and many other CA fans) will most assuredly decide to buy two of them—one for play, and the other for display. Kiii-YAH! The back panel contains the expected information, but we can’t help feeling CAE missed an opportunity here to discuss CA’s 50th anniversary, or to create some sort of exciting “mail-in” promotion. That way, you could cut an entry form off the back panel (of the extra set you bought) and not feel too bad about ruining the package. Or could you not bring yourself to do that? (Photo: CAE) Click to enlarge. Bottom Line: Release dates and prices for this new set have yet to be announced, but as we said, this looks like a certain “two-setter” to us. 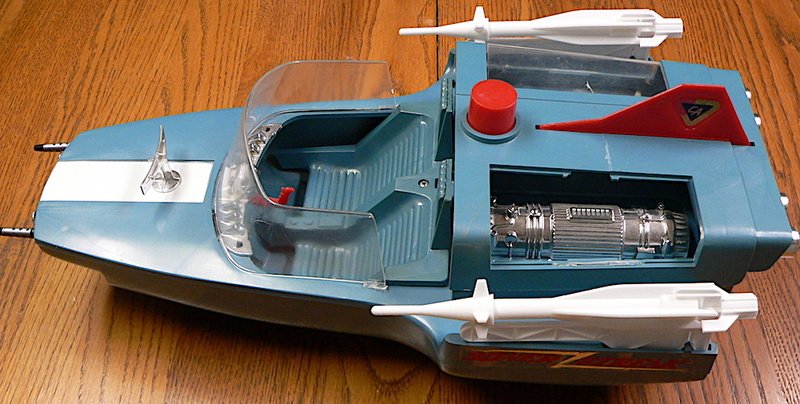 What it lacks in boots, gloves and equipment, it more than makes up for in its unique kitsch and COOL factors. Go, Captain Action! Go, Ultraman! 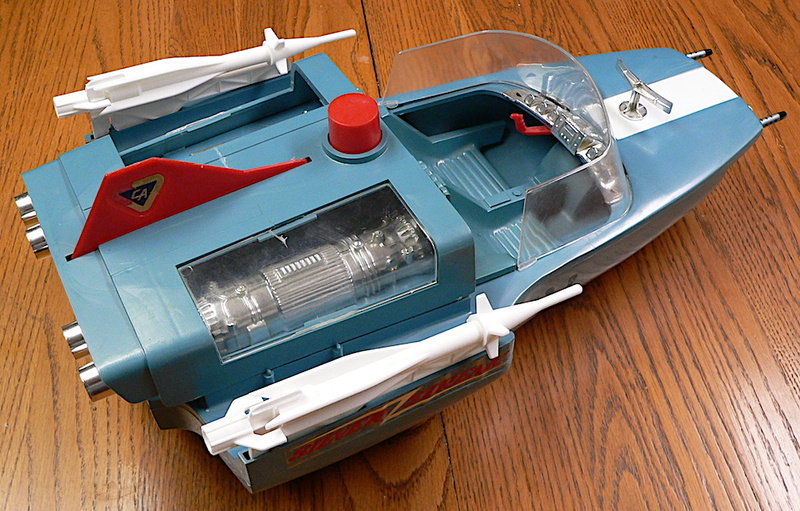 “For Captain Action’s launch in Japan, Nippon Ideal made plans to give Captain Action an Ultraman costume. However, events conspired to prevent the Ultraman costume from becoming a reality, but not before pictures of it had appeared in articles about Captain Action in several issues of “Shonen (Magazine)” (“Boys Magazine”). 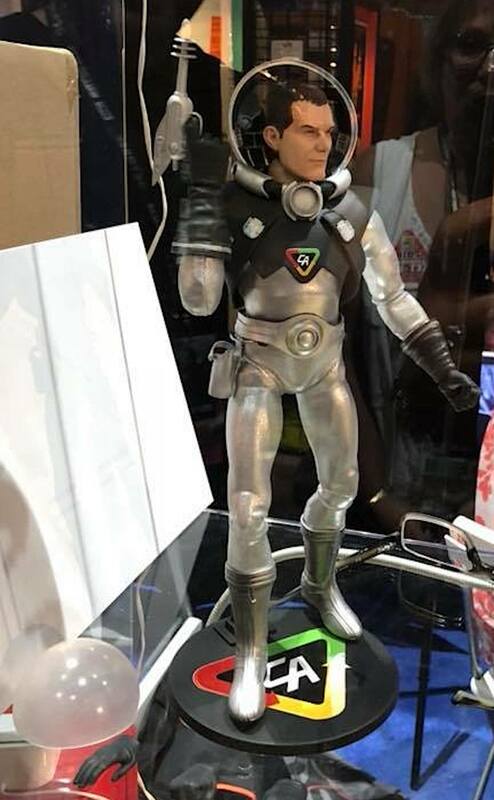 For decades, fans of both Ultraman and Captain Action have looked at those few grainy pictures and wished that the Ultraman costume had been released to toy stores,” said James Long, a Japanese Anime and Tokusatsu Historian and fan of Captain Action. This new Ultraman outfit will be released as a part of the 50th Anniversary celebration of Captain Action. Additional 50th Anniversary plans are scheduled to be announced. If what we see in the photos above is what we’re getting from Medicom, then we recommend you gird your corporate loins, because there’s sure to be some negative commentary coming your way. Many fans will undoubtedly label this simplistic costume as nothing more than Ultraman long-johns. Of course, if additional details not currently visible are added to the helmet, boots and equipment, then it’s quite likely this new costume will ultimately achieve a very high COOL factor. And we can’t wait to see what “retro-style packaging” you have in mind for it as well. As always, best wishes! For more information on CAE’s products, visit their official website found HERE.